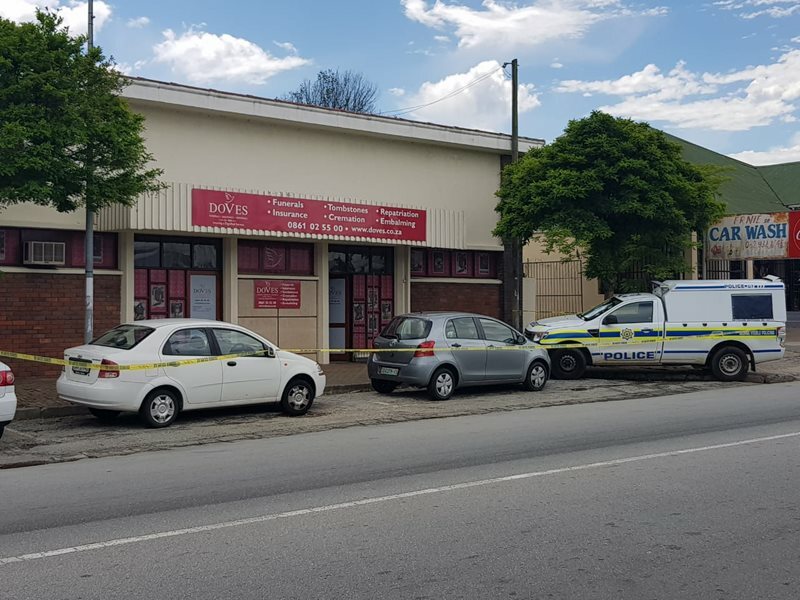 GEORGE NEWS - Police are looking for 4 men after an armed robbery at Doves funeral services in Langenhoven Street this morning at approximately 10:00. The suspects fled the scene with an undisclosed amount of money. A client that was on the premises at the time of the incident was also robbed and an employee was assaulted.